Swim your way to toned, lean and marine so others BEG you to put your swimsuit on. Swimming is an underused form of exercise, and if your gym fee includes pool access, might as well use it, right? I know, I know, it can be kind of intimidating. Strokes, technique, equipment, etiquette, time and intensity - swimming has its own set of rules and strategies. But all that seems trivial when you think about a swimmer's body, hot dang! They're lean, toned, strong and graceful. This is a body type many people aim for. Not thin, not bulky, but a little bit of everything rolled into one fit package. 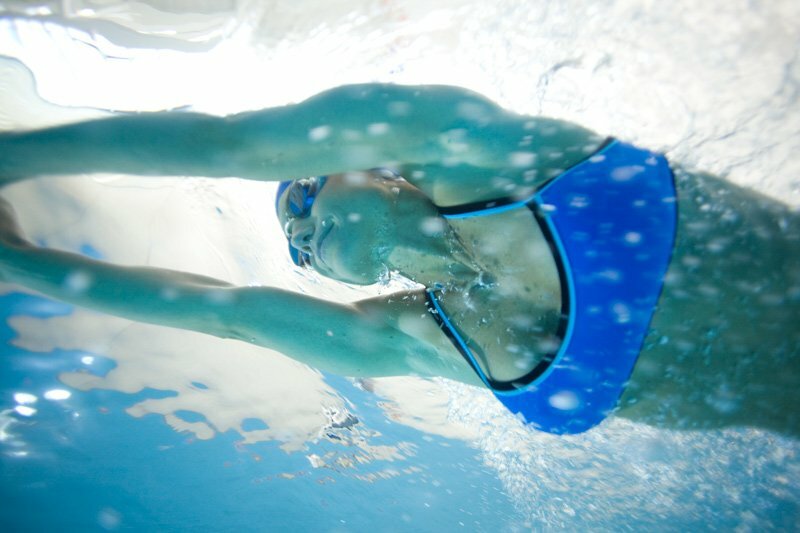 Plus, it's one of the best forms of cardio you can find - your entire body is doing resistance training when submerged. So why not dive headfirst into the water and come out with a hotter body? You don't need much to get going, and I'll give you all the information you need to start today! Pool chlorine can really sting, and you don't want people thinking you have pink eye just because you swim. Plus, they look sweet! Prices range from $10 to $25. I like a tight-fitting Speedo, but if you're more conservative, normal trunks are fine. For women, a dedicated swimsuit will perform better than a bikini, but it's up to you. Prices vary significantly for swimwear, so find one at the right price! Most pools have these available, but you can buy your own for around $10. We'll use a kickboard to isolate your lower body. or merman, for that matter. Fitness gyms with a pool usually have these in-house, but you can get either for $8. You'll use one of these to isolate your upper body. It's hit or miss when it comes to pools having these for free use. Get ready to buy your own, and plan on spending $10 to $20. This is great for checking your time while you swim. You don't need anything fancy, and you can find a good one with a stopwatch for $10 to $20. Many gyms with pools will have these available, but they cost around $20 each to purchase. You can use these for your cool-down swim. Hair can definitely be annoying in the pool. Caps cost around $6. Ever had somebody take your bench or machine in the gym? It's infuriating; disrespectful swimmers in the pool will make you want to drown them. Follow these rules and save a life. You don't want to slow anyone down or be slowed down, so find a lane that matches your swimming speed for a smooth ride. It isn't cool to invade someone else's space in the pool, but when the pool is packed, swimmers have to share lanes. Usually the maximum amount of swimmers in a lane is three. And don't share a lane if there's only one other person in the entire pool, that's just creepy. You can either swim in circular fashion like on a racetrack, or split the lane right down the middle and stay on your side. Make sure you and your lane partner are on the same page! is just waiting to happen. If you need to rest or are about to be passed, stop at one end of the pool, not the middle. Make sure you know where the other swimmer is at all times during your swim for safety purposes. It ticks me off in the gym when someone offers me his life story, and it's even worse in the pool. People have places to be, workouts to do, and maybe even people to kill. Shut up and swim. 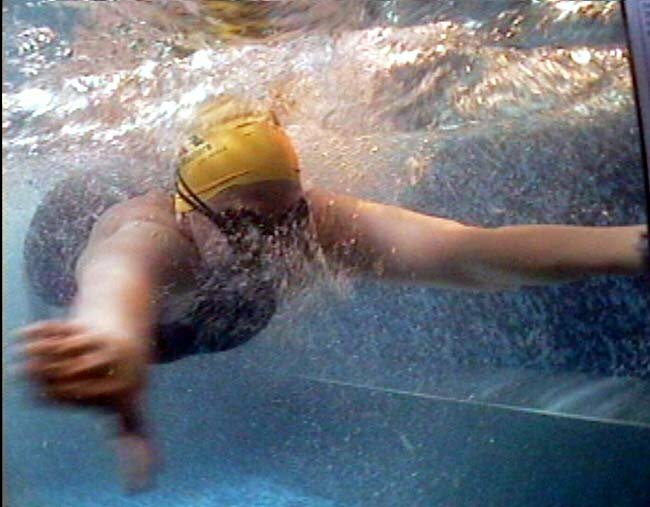 Swim training intensity largely depends on one variable, your heart rate. It's like taking your pulse, and it is measured in beats per minute (BPM). To get you leaned out, we want to stay in the sweet spot of heart rates. How do we figure this out? First, we need your maximum heart rate (MHR). To find your MHR, subtract your age from 220. Multiply your MHR by .85 to get your maximum target heart rate (MaxTHR). Multiply your MHR by .75 to get your median target heart rate (MedTHR). Multiply your MHR by .65 to get your minimum target heart rate (MinTHR). 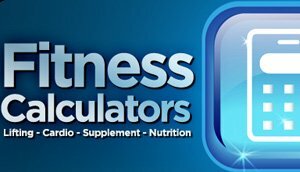 When you're doing cardio to burn fat, you want to stay in the range of 65%-70% of your maximum heart rate. Your swimming will require you to hit the last three variables during different parts of your workout in order to promote the best cardiovascular workout and calorie-burn. You don't want to go above your MaxTHR (that's working too hard) or below your MinTHR (not working hard enough). Your workout is designed to allow you to periodically check your heart rate during rest periods in your workout. To find your current heart rate, place 2 fingers on your carotid artery and count your pulse for 30 seconds. Multiply this number by 2 to arrive at your current heart rate. This workout is designed with variable resistance training to help you tone your muscles, shed fat, and increase swimming performance and endurance as well as cardiovascular strength. You will swim using multiple full-body and isolation strokes, 3 different intensities, various distances, and rest differentiation. Note: Check your heart rate while resting for 30 seconds after completing each exercise to make sure your current heart rate matches your target heart rate for the circuit you are in. Note: This mile-long swim should be done with little to no rest, so you should take care to stay within your target heart rate range, and keep your heart rate checks minimized.